Living paycheck to paycheck isn’t just stressful, it also means your money goals remain out of reach. The solution, of course, is to start saving. But figuring out how—and how much—to save can be challenging. So let’s break it down. 1. Figure out how much to save. How much should you save? The short answer: enough to make sure you can afford your upcoming needs, plus (ideally) your wants. What that translates to in actual numbers will vary depending on your expenses and goals. But a general benchmark to aim for is putting 20 percent or more of your income toward saving and investing for short-term needs and bigger goals—from vacations to retirement. Advisors generally recommend putting at least 10 percent of your income into a retirement account like a 401(k) or IRA. (The limits for those are $19,000 and $6,000 in 2019, respectively, if you’re under 50.) At the least, you want to contribute enough to get any employer match money if you have access to an employer-sponsored account. Beyond that, the first priority is to save for unexpected expenses—those you can’t avoid paying, but are hard to predict. Maybe a water pipe bursts, your fridge goes on the fritz or your car overheats. (Hopefully, not all three.) Maybe you trip and sprain your ankle and end up in the ER. Or maybe you lose your job. All unexpected, but not all that uncommon. To start, aim for $1,000. That’s generally enough to cover a basic car or home repair without racking up credit card debt. Then work your way up to about three to six months’ worth of basic living expenses. If that seems like a lot, try putting away even $50 per month at first to get into the habit of saving. The most important thing is to get started. You also want to save for short-term goals. Those could range from buying birthday gifts to going on vacation. Basically, anything you don’t count among typical monthly expenses that’s coming up in the next six to 18 months. 3. Look for ways to cut expenses and increase your income. If you’re struggling to save, take a close look at your expenses for places to cut back. (Need some inspiration? Try any of these 101 ways to save.) You might also be able to negotiate savings on big bills, like your smartphone and cable. If you simply can't slash much, try to figure out ways to boost your income. Maybe you're due for a raise at work, or you can adjust your tax withholding and give yourself one. (Just make sure that doesn’t result in owing Uncle Sam later.) Consider picking up a side gig to bring in some extra cash. No matter which side of the equation you tweak, the key is to spend less than you earn. 4. Use automation and other strategies to stick with it. There are plenty of strategies that can make it easier to save. You can open separate accounts for different goals to stay organized and better track your progress, for example. Naming your accounts can also give you more motivation to fund them. 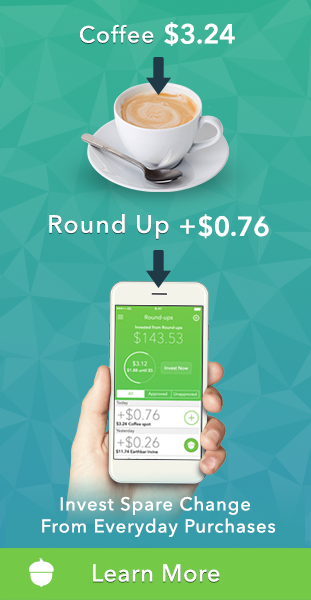 Use tech to your savings advantage, too. Plenty of apps are designed to save you money in a variety of ways. And don’t forget the easiest tactic of all: Set up automatic payments to yourself after payday so you can save without even thinking about it. Automating deposits to your savings account, retirement account and any regular investment account (say, for mid-term goals) can help keep you on track and avoid the temptation to spend that money instead.